CEHS Concert Jazz won second place in its division (L5) at the Berklee High School Jazz Festival on February 10. 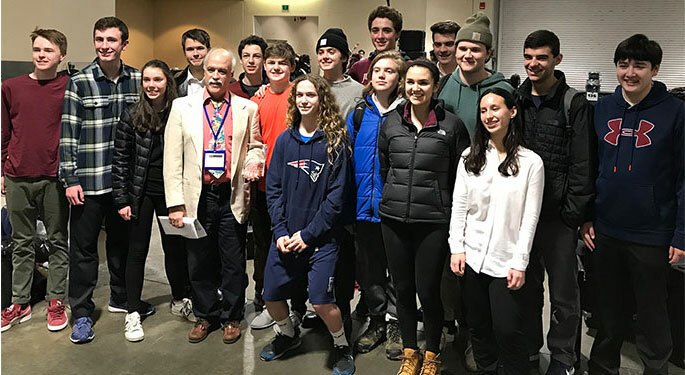 The Festival was held at the Hynes Convention Center in Boston and included ensembles from schools across the country. The Berklee Festival is held annually and is the nation’s largest high school jazz festival. Click the button below to hear a recording of Cape's performance. 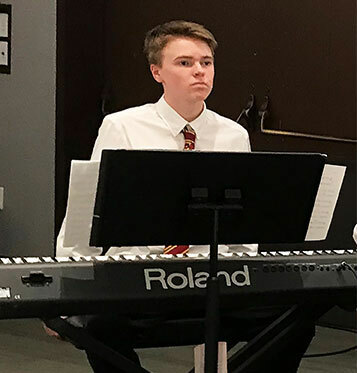 In addition to the ensemble award, sophomore pianist Alex Hansen received the Superior Musicianship Award. This distinction was earned by only one musician in each of the 13 divisions across the entire competition. Nathaniel Clay, Alice Kenny, Ryan Oberholtzer, Caleb Weinstein-Zenner, Henry Rutty, and Tony Inhorn on saxophone; Sydney MacFarland on flute; Preston Stewart, Zach Merrill, Jack Sands, and Dylan Foote on trombone; Fiona Simpson, Sam Berman, Ben Payson, and Hunter Grimes on trumpet; Harry Baker on guitar; Alex Hansen on piano; Grace Roberts on bass; and Christie Gillies on drums. The band premiered three arrangements written for them by former Cape Elizabeth Middle School band teacher Terry White: "Bright Mississippi" by Thelonious Monk, "Pulsacion #1" by Astor Piazzolla, and "Beautiful Love" by Victor Young.